I was nineteen when I found out I was pregnant; fast forward thirteen years later to today and I (like many others) am flooded with so many happy memories as I look back on my journey with Open Adoption. Memories like dancing in the kitchen with my son Tom and his adoptive parents to the Black Keys, with the volume on full blast. Family trips to Disneyland, and even quiet snuggles when he was younger as I’d read him ‘just one more story’ before bed. These are all things that I truly never believed I would ever get to experience as a Birth Mom; so ‘grateful’ doesn’t even begin to describe how I feel most days. However, there is a part of my story that I haven’t shared before now. I suppose I’m writing this in hopes of it helping just one other Birth Mom to not feel like she’s entirely alone on the subject. OK, so grief may seem like an obvious thing that one would need to deal with when going through something like Open Adoption. In fact I think there may have even been a group therapy class available to me when I was pregnant (that I likely skipped). I didn’t need training on grief, I was apart of something too wonderful to have time to be sad. I didn’t get it. And it took me a solid twelve years (there’s no exaggeration there) until I actually felt it. I suppose looking back, I didn’t feel like I had the right to grieve. I felt too much guilt around it…even feeling shameful at times for being remotely sad about something that had turned out so beautifully. I mean, how could I possibly feel sad when this little boy was so loved and taken care of, and I still get to see him, and I should be grateful, and appreciative, and, and, and. And I managed to make it through those first twelve years pretty seamlessly - until finally last Mothers Day, in the middle of my steak dinner, it came over me like a full on f**king tsunami. I absolutely lost it. I burst into tears, and yet still tried to smile as I just kept putting fork-fulls of food into my mouth. Have you ever tried to eat and cry at the same time? It’s not easy, I assure you. My poor partner didn’t even know what to say…and neither did I. That night, and into the next morning, I just cried. And I mean ugly-cried, like snot pouring out of your nose, wiping it on your sweater, can’t catch a breath, sobbing into a pillow, cried. I was finally grieving. Grieving the loss as a Mother who wasn’t able to raise her own child. It was happening whether I was ready for it or not, so I decided to finally give myself the room and permission to properly do it. I allowed myself to feel disappointed, to feel angry, to feel jealous, to feel empty. I leaned into the hurt, and just sat with it in that dark room by myself. I acknowledged its existence, and then told myself that I was not a bad person for feeling this way. To clarify: my therapist told me I was not a bad person for feeling that way, I however, thought I was a horrendous human being. The whole experience was pretty cathartic to say the least. Looking back today, I wouldn’t change a single thing. I only wish I’d given myself permission to grieve a little sooner, and realized that just because I feel sad sometimes, doesn’t take away the immeasurable gratitude and love I also hold. I guess I’ve learnt over this last decade that there can be space to feel both. And I encourage you to give yourself permission to feel all the feels, because when you do, it’s pretty damn liberating. Most of us are aware that the divorce rate continues to rise amongst Canadians. It is important to remember that our adoptive families are not immune to these statistics and in fact the divorce rate in adoptive families is even higher. A special thank you to the author of the latest edition of Hearts of Adoption Options for sharing her story. We appreciate her openness. I am an adoptive mother. I am divorced. I am a single mother. None of these things I thought I would ever be in my life. When you sit down with your social worker and complete your hours of home studies, you delve into the depths of your marriage with your partner. They ask your strengths, your weaknesses, what you struggle with. And I remember so vividly that being the least nerve wracking part of the home study, because we were solid. Of course every couple has their issues and things they need to work on, but not once did I think there was anything about my marriage that would be of concern. And then we became parents. On a totally uneventful January day I got a phone call. A social worker asked me to pull over, and my heart began to race. A baby had been born. His birth parents had looked at our profile and wanted to meet us. And just like that, in that one instant, our lives changed forever. This little boy, this tiny little 5lb baby boy, was born in our hearts. We met his birth parents. We got to hug them and thank them and promise that we would take care of their little boy for the rest of our lives. And then two mothers were born in that room; one who gave life and one who came alive with their gift. To trust two people to love and care for their son? Gift doesn't even begin to describe what that is. They wanted love and laughter and stability for him. They felt like we were their soul mates, and we felt like they were ours. And this innocent little baby was the connection that tied our hearts together for life. Then the unthinkable. The thing that only happens to 'other' people. Never to us, not to our family. The realization that some things are just so beyond our control. You imagine what your life will look like, the path that you will travel. Meeting someone, getting married, having babies, living happily ever after. But the babies didn't come, despite the trying. Despite the fertility treatments and the years of anguish. And then we were parents, and 9 months later became shockingly pregnant with another baby boy, and our little family was complete. Until it fell apart. That time in our lives was a roller coaster of confusion and pain and this feeling of detachment that this was actually happening. I will never forget the moment I thought of his birth parents. I was standing in my kitchen, still living in a fog of shock, when they sprang into my mind. There was instant sadness and guilt, instant tears; all those promises we had made to give him the best, to give him stability; all of a sudden they were gone. Would they be disappointed? Would they regret the decision they made if they knew? Would they want something better for their son whom they trusted us with? It was the heaviest feeling I had ever known. But here is what I know now. Now that a year and a half has passed. Now that divorce documents have been signed by a judge who doesn't know us, who doesn't know our story. Who doesn't know our little boy. What I know is love. The love has not changed. The love I have for him as a mama. The love his daddy has for him. The love our families and friends have for him. If anything, it has made my connection with him become even stronger as I watch him grow through this with tenderness and resiliency beyond his years. The other day while cuddling in bed he said "Mama, I feel sad for my brother". I cocked my head and asked him why and he said "because he only has one mama, and I have two!". Oh sweet boy. Nothing about that has changed. You have me. You have your birth mother. You have your daddy. You have your birth father. And in all the ways the lives of the four of us have changed and swirled through the wind like wild dandelions, the one thing I am certain of is that the love for you has never changed and never will. The DALAKOUDIS family is on the Blog!! Photo courtesy of Amy Bell from Modern Nest Photography. (www.modernnestphotography.com) Amy Bell is a proud adoptive mother who has a soft spot for capturing the love of families created through adoption. Adoption is now sewn into my very being. I cannot imagine not being Jordan's mom. We chose to adopt and thank goodness we did because Jordan is in my soul forever. We don't have a story of years of trying to conceive. We got married young and didn't conceive after 4 years of marriage. After consulting with doctors we were encouraged to try fertility drugs and treatment. This did not feel right to me. So we decided to explore adoption. Immediately I knew this was my preferred choice for starting a family. It makes me cringe when people say "oh how come you had to adopt?". I always respond with "I didn't have to adopt...it was the best choice I ever made!". So ironically, after nine months of waiting we became parents to Jordan. It was an instant placement. I was sitting at my desk working away in the morning and by the afternoon I was a full blown mom with no warning. Adoption is not easy. It's a constant emotional roller coaster, but worth it in every way possible. From waiting to be picked by birth parents, to wondering if you and your child will bond and then trying to build healthy relationships so your child is given opportunity to develop in a world knowing they belong. I would do all of it a million times over again if it meant in the end I was Jordan’s mom. He is now 8 years old and he is starting to ask the questions that I knew would come. I just want him to know that he is loved by so many people in this world. We are so connected that I know he feels we are meant to be together. I never want to take away the fact that there is also a birthmom out there, who also loves him very much. We have not been able to have a relationship with her because of circumstances of her wellbeing. This is something we cannot change and maybe it is not ideal but it is our family. Also ironically nine months after adopting Jordan...I found out I was pregnant with another baby boy. So we went from no kids to two kids within less than a year and half. Now if that's not meant to be then I don't know what is... I am always open to meeting with prospective adoptive parents and birth families to share our story and love. . . I sit here and watch Jax (name has been changed for privacy) run up the steps to go down the waterslide for the 99th (or so!) time in the last hour and my heart nearly bursts. I watch him, my weary self, and wonder for the 199th time “where does he get his energy from?” And then I’m thankful he’s smiling and giggling and screaming with life, and I enjoy this, what appears to be a typical family sharing a fun evening together, away from the every day of life. I remember, this boy and his big sister are the joy of my heart, the reason I get up in the morning, and the long answer to our prayers to be parents. And I also remember that this boy, just a couple of hours before, completely melted down as we pulled into the hotel parking lot. He didn’t like the “look” of the hotel. “The doors are on the outside Momma!” he screamed from the back seat, with big alligator tears rolling down his face. I looked over at his Dad and sister and their downcast looks said it all. “Not again” their eyes said. We’ve been here before, many, many times, because with our son, we’ve been living what we’ve come to call “The Eggshell Life” since the day he joined our family as an infant. Being with him and caring for him can parallel walking around on eggshells, watching what we say, how we say it, how we plan and live every day, because anything might set him off. This boy, our Jax, has an FASD (Fetal Alcohol Syndrome/Spectrum Disorder), a diagnosis not completely unexpected given the information we knew when he came to our family, yet it challenges our capacity as parents and as a family every day. Jax has challenges in behaviors and relationships and learning that have forced us to make some hard choices about priorities for our family. His diagnosis has been heartbreaking as it would be for any parent who sees their child struggling with health issues. The needs for his future are overwhelming if we think about the possibilities too much. That afternoon, we sat together in the van, mini-holiday on hold, as Jax continued to refuse to consider that this hotel is where we were staying. As my 10 year old son screamed and cried in the van, I did what I’ve learned to do after years of similar experiences. I tried to calm my shaking heart and steady my voice, wondering like I have a hundred times before whether we made the right decision to leave home for this short family outing. In the end, with time followed by a calmer conversation, Jax decided it was okay to at least “go check things out”. Once he saw the big atrium with the pool and waterslide, and that he could see the waterslide from our room, he was ready to be there, meltdown forgotten, full speed ahead. Not so much for his parents and sister, who were still shaken by it all, but then, that’s the “eggshell life” we live. FASD is a spectrum of disabilities mostly hidden from the eyes of those not looking for it, and caused by a pregnant mother consuming alcohol sometime before the birth of her child. Current research shows maternal drinking is one of the leading preventable causes of birth defects and developmental disabilities in the western world. There are no confirmed statistics of how many children are affected by an FASD, however, there are some places where it is documented as high as 5 out of every 100 births. Other places, including among those that I work with in our local Fetal Alcohol Network, say they think it could be as high as 1 out of every 10 persons. I share these stats because, in the world of adoption, where we don’t have complete control over what happens to the children who join our families before they are in our care, we may have to face the decision to open our lives up to the possibility that an FASD could affect our families. But statistics aside, I also write this to reach out as a mom and advocate to say, if you are facing this hard choice and the challenges of the “eggshell life”, you are not alone. FASD has become a very real consideration in many adoption experiences. Many of us may be parenting a beautiful son or daughter who like mine, can be both maddening and miraculous, creative and charming, but also calculating and compulsive and constantly confusing, who is both explosive and engaging. Your child, like mine, probably snuggles up for love one minute craving love and touch, then fights your help when they’re in crisis and they need the love and touch the most. This may not be the life we expected, or planned for, but it is the family we have. We absolutely adore Jax and all his quirky, unique and high spirited ways. We are fierce about advocating for him, and for our whole family’s needs. But when we tell our story and talk about the hard parts, we always make sure people understand that we made a conscious and informed decision as a family in the adoption process to consider increased health risks in many areas, including potential prenatal exposure to substances. It wasn’t an easy decision, but it felt like the right one for us. Every family must make their own decision and understand what risks they are willing to consider. But for us this is our life, and we’re grateful for it, and we’re doing the best we can, even while walking on eggshells. We are happy to share with you that we facilitated TWO PLACEMENTS this weekend!! One instant and one of our matched families was placed yesterday. As always we have nothing but respect for all parties involved. We are thrilled for our adoptive families who are now experiencing their dreams of becoming parents a reality. At the same time our hearts ache for the birthfamilies who have made these adoption plans to ensure their childrens' best interests are placed first. We are in awe at your strength and selflessness and we recognize that for our adoptive families the gift of becoming a parent would not be possible without you. It is Friday and as announced here is Sheryl Proulx’s first video blog! This is the first time that Sheryl has shared intimate details of her personal journey with adoption and how it brought her into her vocation as a social worker which ultimately led her to becoming the Executive Director of Adoption Options in Alberta. For anyone facing an unplanned pregnancy or fertility loss and for anyone in the social work field, this is a must watch. Please Like and Share. An analogy of creating a family through international adoption from the United States is being on a roller coaster ride. The anxiety of waiting for the ride to begin (the homestudy and approval process) the excitement and anticipation as you sit in your designated car (waiting for a match) and the thrill once the roller coaster starts and takes you at neck breaking speed around the curves and up and downs of the track (being informed of a match) and exhilaration of surviving the ride and arriving at the planned destination - the end of the ride (being placed with a baby). This ride is not always predictable and the riders do not know when the ride will stop or if they will become suspended upside down. When a birthmother has a change of heart – prospective adoptive parents can feel they are in limbo with no way out. They have no control of the roller coaster ride – they are trapped in without a known outcome. One of our waiting couples with the U.S. recently experienced a change of heart and is dealing with the loss of their desire to be parents not materializing. They are more than ready to be parents and they were so hopeful their dream would become a reality. In talking with this couple I was struck by their grace and humility in dealing with this turn in their adoption journey and compassion for the birthparents who decided to parent. Yes they are suspended upside down but know they need to remain this way - as their desire to be parents cannot be accomplished if they get out. Their seatbelts are securely fastened, their hands are firmly grasping the handle rail, determination, trepidation, and hope imprinted on their faces as they prepare themselves for the roller coaster to start moving again; this time with the hoped arrival of their dreamed destination of parenthood. Adoption Options is thrilled to announce that our media presence is expanding. As Alberta’s leading licensed adoption agency we are committed to providing caring support, quality information and choices to anyone facing an unplanned pregnancy and to Alberta residents wishing to create or expand their family through adoption. Increasing our media presence is fundamental in helping us reach anyone who is facing an unplanned pregnancy requiring support and options counselling. In addition to this it is vital for adoptive families to be informed, educated and updated on adoption information and current happenings in the adoption community. Follow us on social media for up to date relevant information regarding adoption practices in Alberta. We will be posting live video blogs, resources, interviews with professionals in the adoption community and a series of journals from our in-house birth and adoptive families. Inspired by the popular photoblog Humans of New York, we would like to introduce Hearts of Adoption Options. Hearts of Adoption Options is about sharing our stories. Since the beginning of time we have told stories. The power of story sharing is essential to making and maintaining connections and is an integral part of personal healing and well-being. It's a way to stay connected to our past, and provides us a glimpse into our future. You can help us reach out by being connected on our social media, sharing and most importantly by contributing. If you would like to contribute please contact: Desiree.Gebauer@adoptionoptions.com. As so many of you have shared your stories with us, Adoption Options wants to share our stories with you. Be sure to check out Executive Director Sheryl Proulx's first live video blog available on our social media March 24. Sheryl will be sharing with you her story as a birth mother and how this experience became her vocation. In the meantime, please continue to follow us! We’d been waiting a little over three years when we received the phone call that every adoptive parent anxiously anticipates – you’ve been chosen. The birth mom was in labour and our little bundle would be arriving that day! We frantically phoned parents, called our employers to let them know we wouldn’t be in the next day (and in Jenny’s case that she wouldn’t be in for the next year!) then ran to grab the last minute essentials for welcoming a new baby into our home. The excitement was nearly overwhelming. Labour and delivery went smoothly and we were welcomed into the hospital room right after the birth of our beautiful baby girl. This was our first time meeting the birth parents and the emotions that everyone experienced while we held our daughter for the first time are something we’ll never forget. How, after only moments, could we be so in love with our daughter? It had finally happened, our family had grown by one. Together we discussed our short list of names and made it official, our daughter’s name would be Claire. We found it difficult to express the level of gratitude and happiness we felt to these two people who we’d only just met. We wanted them to know that we were good people that they could trust. We wanted them to feel how committed we were to loving and caring for this sweet baby. Just saying the words didn’t seem like enough. Something a lot of adoptive parents think and worry about is their relationship with their child’s birth parents. Will we have anything in common? Will we want the same type of relationship? We came away from our first meeting feeling completely overwhelmed by the warmth and love that we already felt for these two people and how much love they already had for us. We felt the weight of the responsibility and we were ready to live up to every expectation. Watching the birth family say goodbye to Claire was one of the most emotional moments of our lives. We had so much respect for the strength and courage it took to decide that someone else would be Claire’s mom and dad. We started to call our closest friends and family to share the good news. “We have a daughter, her name is Claire, and she’s happy and healthy! The birth parents? They’re wonderful and have been so welcoming to us”. Everyone who supported us through this journey now got to experience our joy along with us. The first few days were stressful but we started to settle into a routine and thought, “Yes, we can do this”. We sent a few pictures in an email to the birth mom who wanted to see where Claire would be sleeping. We wanted her to see the bassinet right next to our bed and hoped it would help her to know that Claire was safe and close to us. Those first days flew by! We thought often of Claire’s birth parents and were sending them all our good thoughts and love. On day 5 Cody left the house to run a few errands. While he was out, he took a call from a private number – on the other end was our social worker from Adoption Options. It didn’t even register that she could be calling about a revocation. Everything stood still as we received the awful news. Turning around and driving home to face Jenny was devastating. We spent some time with Claire in the nursery, just the three of us, while we tried to collect ourselves. The birth parents were already at the Adoption Options’ office and were waiting for us to bring Claire in as soon as possible. This was the first time in our lives that we experienced a loss of this significance. The type of loss that brings you to your knees, that brings forward uncontrollable sobs. What we remember most about this moment was the overwhelming feeling of love that we had for each other. There was love and trust that we would take care of one another, no matter what. Within 90 minutes we were sitting in a room with the birth parents, our social worker from Adoption Options and baby Claire. We were feeling the same emotions and same sense of loss that they must have felt in the hospital five days earlier. Later, one of the most common questions we would get from friends and family was about how angry we must have been with the birth parents. However, in that moment there was no anger, just a strong sense of concern for Claire. We shared with her birth parents as many details as possible from the past five days; the formula she was eating, what her daily schedule looked like, how she liked to be swaddled. Our only concern was Claire and making sure that we shared everything we’d learnt. We wanted them to know the great start we’d given her and we wanted nothing more than for them to succeed. It was clear that this was heartbreaking for them as well. We spoke with our social worker for a few minutes before going home. She helped us formulate our plan for the coming hours, days and weeks. Apart from our parents, there isn’t anyone who has ever saw us so vulnerable. Her hugs, kind words and giving us permission to grieve were so helpful. We remember feeling such loss, emptiness and even embarrassment that the adoption was revoked. Words cannot describe how terrible it felt to drive home with an empty car seat or walking by the closed door of the nursery. We were constantly thinking of Claire, worried if she was alright, hoping that she was happy with her birth parents, and even wondering if her name was still Claire. To help us cope, we decided to get out of town for a few days. We left friends, family, and some of the heartache behind while we took time for the two of us to talk, support each other, and work through the emotions that we were feeling. The months after we returned home were not easy. Friends and family were unsure of how to react. Others who did not yet know of the revocation asked “how’s the little one doing?” or “are you getting any sleep with the baby?” While answering these questions was difficult, we continued to be advocates for birth parents, remained committed to the process and still believed we would eventually be parents. Thinking about all the what if’s was also something we struggled with. What if we had gotten to spend more time with the birth parents before Claire was born? What if we had emailed or texted them more during those first days? Giving up that pursuit for answers and just accepting that some things are beyond our control helped us move forward to a place of excitement and anticipation again. While we had discussed the possibility of a revocation with our family and close friends, we realized afterwards that we hadn’t spoken about it enough. There was confusion on their part about what happens next. Did we go back to “the bottom” of the list? Would it be another three years? Had we changed our mind about adoption? The answers to these questions all seemed obvious to us but more than a few family members needed clarification. Then, on a hot sunny day in August, we received another call, this time from Adoption Option’s Calgary office. We’d been matched and a beautiful, healthy baby girl had just been born. While the excitement was immense, it was almost secondary to the incredible anxiety we felt. These contrasting emotions felt strange – trying to be realistic about the potential of another revocation and trying not to deny ourselves the joy of a new baby. Knowing we were dealing with another instant placement brought back feelings of uncertainty around how we would survive another 10-day waiting period. We decided not to share the news so widely and spent much of the time at home getting to know our little girl. She helped us understand why as adoptive parents we put our hearts on the line and accept the risk of having them broken. Every other joy in our lives is now compared to the feeling of hitting day 11. Knowing that we’d made it and that the incredibly painful journey that had led us to this point had been worth every tear. We have an amazing daughter and a relationship with her birth parents that we cherish so much. Everything feels right. This is the moment we were waiting for; we have the daughter we were destined to raise. Part of overcoming the difficulty of Claire’s revocation was understanding that it’s also part of Olivia’s adoption story. The path that led us to Olivia includes those 5 days with Claire and all the pain and heartbreak after. Those decisions in May set the stage for what was still to come. Looking at Olivia now as she turns 6 months old, it’s hard to imagine life any other way. As February comes to an end and we start finding tax slips in the mail and our inboxes, it’s important for prospective adoptive families and those who recently adopted to know about Adoption Tax Credits available to help offset costs involved in the adoption process. If you adopt a child under the age of 18, Canada Revenue Agency (CRA) allows you to claim up to $15,453 in eligible adoption expenses on your income tax return (line 313). In addition to the federal tax credit, residents of Alberta may also be entitled to claim an additional $12,619 of eligible expenses with the provincial tax credit (on line 5833). The tax savings provides relief for families in the year their adoption is finalized, with maximum federal tax savings of $2,317 (at 15% tax rate) and provincial tax savings of $1,261 (at 10%) - for a total max of $3578. Remember to keep your records and receipts from the start. CRA recognizes that the adoption period usually covers more than one year, but eligible expenses for the entire adoption period must be claimed in the year the adoption is finalized (when adoption order is issued or the child first begins to live with you, whichever date is later). Eligible adoption expenses include fees paid to adoption agencies and foreign institutions, court and legal costs, and document translation fees. Parents may also claim travel and living expenses related to the adoption and mandatory expenses for an adopted child’s immigration. For expenses to qualify, they must be incurred during the adoption period, from time of application to finalization. For more information about the Adoption Tax Credit, visit Canada Revenue Agency’s website at: www.cra.gc.ca. My spouse and I reverted to how we were raised. Despite having had many conversations about how we would parent similarly, as a team, when the time came, we discovered we had very different parenting styles. The need for clear, open communication is so important! My maternal instincts kicked in as soon as I saw my child. “Mama Bear” comes alive whether you parent a child through birth or adoption. My children have a way of pushing my buttons and bringing out frustration in me that I never knew was possible. This brought a whole new meaning to the word “Patience”! I put a lot of pressure on myself to be the perfect parent. Many adoptive parents feel the need to be “Super Parents” because they know they have had their child bestowed upon them by their child’s birthmother, and because the adoptive agency has approved them. I became anxious, felt lonely, and/or missed my job once I was parenting. Post Placement Depression is real, and very similar in nature to Post Partum Depression! Kids are expensive! Finances become a major source of conflict when you are parenting if you have not already financially established yourselves prior to parenting. I hope you can join us for our meeting in February, when adoptive parents and birthparents join together to ask/answer questions, and share stories about their open adoption experience. Chantelle is a social worker in our Calgary office, and is very passionate about adoption from both a professional and a personal perspective. She is the mother of three children each of whom joined her family through open adoption. Commonly in our work, we face questions about the “matching” process, and how it works. Adoptive parents might wonder, “why has our file not been shown?” or “why has our file not been shown more frequently?”, while birthparents might inquire as to how the files of adoptive parents are selected for their consideration. Below represents an overview of the matching process, inclusive of the birth and adoptive parents’ individual and overlapping experiences in OPEN ADOPTION. Through counselling, the expectant parent may come to the conclusion that adoption is not the right option for them. THIS IS OKAY! If this is the case, our social workers do their best to refer and connect the expectant parent with resources that are suited to their individual decision. It is our goal that NO ONE will leave Adoption Options unsupported, disconnected or alone. birthparents will also be asked to consider what type and frequency of contact they desire with their child, and his/her adoptive family. This may range from regular in person contact to very little or no contact (and everything in between!). 3. The above information gathered by the birthparent is used to select the files of adoptive parents that may be a “good match” for them and their circumstances. These files consist of letters and pictures put together by the adoptive parents, highlighting themselves, their interests, their relationship, and their lifestyle. It is integral to the process that birth and adoptive parents are “matched” based on similar expectations, mutual comfort, and celebration of one another’s circumstances. How many files the expectant parent views is up to them. They may find a family who they are interested in right away, or they may request more files to look at. Submit extensive application documentation, including medical reports completed by a doctor, criminal record check and child intervention record checks, reference letters, etc. 2. All adoptive families must carefully consider and educate themselves about a variety of health, developmental, and social considerations in a child’s background PRIOR to approval for such considerations. 3. An adoptive parent’s profile is ONLY shown when it “matches” the criteria they have identified as a comfortable fit in terms of the birthparent and child’s information, AND when the adoptive family matches the criteria highlighted as a priority for the birthparent (as above). 4. While we ALWAYS begin showing adoptive parent files in order of the longest waiting families and down the list towards our most recent waiting families, this does not mean that the longest waiting family is the right “match” for every child. The unique considerations of both birth and adoptive families (as highlighted above) are prioritized. The matching process is NOT one of numbers. Rather, it is driven by emotion, shared values and personal connection. When a birthparent(s) has selected the viewing file of a family they feel connected to, they may be offered the HOMESTUDY of that family. This document provides further information to the birthparent to support their determination as to whether that particular family is the right one for them and the child. If not, they can always return to looking at more files of waiting families. When a match meeting has occurred, and all parties identify a commitment in moving forward together, birth and adoptive parents are considered “MATCHED”. This is a time of preparation for baby, getting to know one another, and developing the relationship that feels right for all involved. Each relationship in open adoption is unique. There are no two exactly alike! Erika is passionate about her role at Adoptions Options; one that encompasses both birth and adoptive parent support, providing options counselling, homestudy assessment and placement facilitation. I would like to share a resource which may be helpful for expectant parents to receive information on pregnancy. Motherisk is a resource that provides reliable, up-to-date information about pregnancy including prescription, over the counter or other drug use, alcohol use, conditions or medical issues and other health impacts during pregnancy. It is sponsored by The Hospital for Sick Children (SickKids) and Shoppers Drug Mart Pharmacy. Melinda is a social worker in our Calgary office. She offers support and counselling for expectant parents facing an unplanned pregnancy as well as adoptive parents dreaming of creating their family through adoption. I would like to recommend a book I read recently. A Long Way Home by Saroo Brierley is a true story of a five year old boy from India placed for international adoption with a couple in Australia. This is a memoir as recalled by Saroo and discusses his childhood memories of growing up as a very young child in India, being accidentally separated from his family, being available for adoption, and placed for adoption with his adoptive parents in Australia. As Saroo was not abandoned or relinquished for adoption by his parents (his circumstances of being available are very unique), he knew his family must have wondered what had happened to him and he hoped as well that they continued to think about him. Throughout the book he speaks very highly of his adoptive parents in Australia and feels a great sense of gratitude to the life they provided him, although his desire to reconnect with his birth family and to feel a sense of connection to his country of birth never wanes. It is not that he did not want to be with his adoptive parents and brother but that he grieved for his birth family and craved information about them. Through great determination, support of his parents and girlfriend at the time, the technology of Google Earth, and perhaps some luck, he is able to locate his town of birth and then travels there to find his birth family. and as International Program Director since 2008. Becoming a parent is a life-changing event that can spark many emotions despite feeling ready and prepared. The CDC reports 1 in 8 women experience post partum depression. Although there are hormonal changes related to this, studies show fathers can experience this too, as well as adoptive parents. Other factors that can contribute to the baby blues may include the major changes following placement, fertility grief, and adoption related issues, which can take us by surprise following a much anticipated and joyous placement. Patricia Irwin Johnston has written fantastic books and articles about adoption, including the one below “Arrival Adjustment: The Post-Adoption Blues” with some helpful tips for adoptive parents. Post-arrival confusion, anxiety and minor depression is relatively common among parents. Some sources claim that at least 50% of parents—both fathers and mothers—suffer from the Baby Blues. Unlike the more serious medical condition known as postpartum depression, Baby Blues are not necessarily influenced by hormonal fluctuations. That’s why it’s just as likely that dads as well as moms may experience Baby Blues whether they become parents by birth or by adoption. Many factors contribute to the Baby Blues, no matter how the child arrives. Becoming a parent is in itself a major life change. Many parents—including those who have prepared themselves well—initially feel inadequate for such an enormous responsibility when a real baby is finally in their arms. No matter at what age the new child arrives, new parents’ sleep patterns are usually interrupted as they doze with one ear tuned to the needs of a small person in unfamiliar surroundings. Parents may eat differently or even skip meals entirely when distracted by a needy small person. Schedules and routines fall by the wayside and life begins to feel out of control. A child who is particularly fussy or anxious, who is experiencing some attachment difficulties, or who is medically fragile may create an early parenting experience far different from the idyllic one dreamed of for so long. Issues specific to adoption may contribute to post-arrival depression too. Enormous excitement surrounds the arrival of a new member of the family, but what if you’re worried that grandparents or aunts and uncles won’t accept this child? And what about the insensitive comments that ignorant but usually well meaning others throw about? And what if it doesn’t feel the way you expected that it would? And what if you’re finding that this new experience is re-triggering old memories? And what if you are feeling consumed with worry or guilt about your child’s birthparents’ loss? New parents usually take time away from work. But despite recent U.S. federal laws which support the need for adoptive parents to have leave, some employers may be less than cooperative if they see post-arrival leave as a medical issue for those who give birth rather than as a parenting issue. Depending on whether you were able to plan this well in advance or were surprised by the timing of the adoption, being away from the job can produce anxiety and even guilt—both of which may be enhanced by the parent’s berating of self for not being able to forget the job and focus exclusively on the longed-for new arrival. For some people personal self-image is so intrinsically tied to their jobs that becoming a full-time parent, whether on temporary leave or as a change in lifestyle, can be difficult to adjust to. Some new adopters find that infertility issues resurface briefly when their new child arrives, so that they feel some (usually temporary) sadness that this child is not connected to them genetically. Other adoptive parents are overwhelmed by feelings of sadness for the losses experienced by their child’s birthfamily and find it difficult to allow themselves to feel joy rooted in another’s grief. Still others find it difficult to let themselves fall unconditionally into love with a child during any period of time when a birthparent’s decision may be revoked. Acknowledge that you’re only human. That approved homestudy may have felt like getting the Good Housekeeping Seal of Approval, but it didn’t grant you status as Super-Parent-To-Be. Don’t beat yourself up! The stay-at-home parent should shower and dress before the other parent leaves in the morning. Not only is it hard to find time for this later, but getting off to this kind of “fresh start” can set a tone for the day. Be kind to your head and to your soul. Hire a sitter (or recruit a friend or your partner) to give yourself a few minutes each day just for yourself—to take a leisurely bath, to read a book, to meditate, to make a phone call, etc. Relieve stress by remembering to exercise regularly... yoga stretches during nap time, a brisk walk around the block while pushing a stroller, new parent aerobics or swimming classes (with daycare provided) at the local Y.
Don’t allow yourself to feel “trapped.” Take the baby with you to the mall or a museum. Have lunch at Wendy’s with a friend. Contact a parents’ group. Feed your partnership. It’s easy for new parents to forget that this came first and for parenting partners to feel cast aside by a devoted new parent. Be your own advocate for quiet time with your family as you adjust to one another and the changes that accompany this new experience. Well-wishers often forget that it isn’t just the physically demanding experience of giving birth that puts new moms in need of help and rest, many birthfathers and adoptive parents experience “Cinderella syndrome” in the days following an arrival as they struggle to keep up with entertaining a constant flow of visitors. The Baby Blues are normal, but that doesn’t make them seem less scary. Seek help—from your parent group, from your child’s pediatrician, from your social worker, from your family doctor— if the “down feelings” don’t begin to dissipate in just a few weeks. Tarken, Laurie. “Even Post-Adoption, the Blues Can Lurk.” The New York Times, April 26, 2006. Pact is a licensed non-profit organization providing lifelong education, support, and community for adoptees and their families on issues of adoption and race. I am the mother of three, the parent of two. I am Matthew’s “birth mom” and Katarina and Daniel’s “mommy”. My experience as a birth mother has a great deal to do with the kind of parent I am. In fact, it has a great deal to do with my becoming a parent at all. Before I became pregnant with Matthew, children were never a part of my life’s plan. I never felt I was very good with children. I was going to have a career, be independent. If I got married, it would be with the understanding we would not have children. Ironically enough, through Matthew’s pregnancy and birth I learned that I could love a child deeply. It was this love for him that carried me through the difficult decision of placing him with his adoptive family. It was my way of providing for him the best I could at the time. During the intense period of grieving that followed, the thought of having other children some day was a great comfort. While I was not looking to replace Matthew, believing that I would someday experience motherhood fully was a very pleasant thought. The years, however, took their toll. Besides the guilt I felt in placing my child, I was also grappling with the demon of shame. In the beginning, there was a double message in almost every conversation I had with those not educated in adoption. “It was a very selfless thing you did, but I could never give my baby away, or “It was a wonderful thing you did for your son, but how could any real mother not want to raise her own child?” The underlying message was that somehow my maternal instincts were deficient if I did not do everything in my power to keep my son with me. Three years later, I got married, with the stipulation that my husband and I would never have children. While outwardly I maintained that my life was too busy for children, inwardly I felt I was not worthy to be a mother. My husband is a patient man, and he knew me well enough to know that I would be an excellent mother. He was willing to take the chance that I would someday overcome my feelings of inadequacy to be the mother of his children. He also loved me enough to stick by me if that should never happen. Two years later, we bought a house in a nice, quiet neighborhood. Over time, the house seemed to be missing something. The closer I got to the answer, the more anxious I became: it was the voices and sounds of children. I slowly came to realize that it was not the house that was missing something; it was my life. Despite this revelation, I still had a long way to go. I started seeking out other birth mothers. For the most part they fell into two categories: those who had never had other children and those who had other children soon after relinquishment. Most of the birth mothers I talked to felt a certain unworthiness to parent, whatever their parenting choices. I felt that many of those who had parented were either over-protective or too lenient. I wanted more for my future children than a mother emotionally crippled by shame. I wanted to be mentally healthy and whole so I could be the best parent possible. Through therapy, I resolved those feelings of shame and unworthiness. It was not easy, but I came to believe that I would be a good mother. I soon began to look forward to getting pregnant and having other children again. Two miscarriages and two children later, I am in the thick of motherhood. Katarina is four and a half and Daniel just turned one. It has been a trip like no other. When I first began to talk about having other children, many told me that it would intensify the feelings of loss I had over my son, Matthew. Experiencing parenthood has certainly added a new dimension to the loss. All of my ensuing pregnancies brought long-buried memories of my pregnancy with Matthew. Whether sweet or painful, all these memories taught me to cherish the time I shared with my children while they were growing inside me. One of my favorite memories of pregnancy was the wonder brought by feeling my babies kick and move inside me. As one woman put it, it is “more intimate than a kiss.” Each child moved differently. Matthew, even in utero, was full of kinetic energy, giving me vigorous kicks and even playfully jabbing me back if I pressed on my belly. My other two, mellow and calm like their father, seemed to prefer ballet to karate. Lamaze classes were another story. Learning how to puff and pant with my husband reminded me of how alone I had felt in my Lamaze classes for Matthew. Occasionally, I would flashback to that time... walking alone to class, standing alone during break amid a group of happy couples. While these memories were painful, without a doubt they gave me an increased appreciation of the love and support of my husband. I cherished his involvement because I remembered what it was like experiencing a pregnancy and birth without it. Parenting two children has also reinforced my belief that my decision to place Matthew for adoption was the best decision for the both of us. I was right in trusting my gut feeling that I would have not been able to handle singleparenting successfully. As I write, I have a one-year-old fussing in his father’s arms. There are times it is a relief to be able to hand over the tremendous responsibility of caring for a child to someone who is an equal partner in the endeavor. Although parenting has reinforced my decisions, it has also more clearly defined what I lost in placing Matthew for adoption. As Katarina’s and Daniel’s parent, I have had the privilege of being there as they have learned to walk and talk. I have observed with amusement, and sometimes dismay, as they have mimicked my turn of a phrase, or a certain mannerism. I have watched with wonder as my daughter has shown caring and consideration beyond her years. There are times when I look at my children’s experiences and realize that I wasn’t there when Matthew learned to walk, that I wasn’t there to observe, to teach, and to learn from him. It is, indeed, a profound loss. Knowing how much I have to lose, there are times when I have to really work at not being over-protective. There are other times where I have had fight off the feeling that something terrible or tragic will happen to separate my children from me. While these are struggles common to many parents, for birth parents the reality of being separated from one’s child is a real-life experience that stays with them. Just as parenting has deepened my sense of loss over not being Matthew’s parent, it has also deepened the joy I feel in parenting my own children. I have spent countless guilt-free hours holding a sleeping newborn, reveling in the soft skin, the sweet breath, and the warmth. I have spent whole afternoons just playing with my children. I have spent hours cuddling my daughter while watching the same children’s movies over and over again. In not parenting my first, I am even more aware of the preciousness our time together. I take nothing for granted. Brenda Romanchik is a speaker, writer and publisher of open adoption resources, and a cofounder of R-Squared Press and Insight. The “established fact” and uncritical acceptance in psychiatry that schizophrenia is a highly heritable disorder is questioned in this article that reviews the substantial research of family, twin and adoption schizophrenia studies. The author concludes that there is a historic failure to identify genetic or biological markers, and calls for the field of psychiatry to focus on environmental causes of schizophrenia in both research and societal attention. "embrace not only the child, but the child’s ethnicity and culture"
Throughout our lives, there are milestones that measure meaningful events or happenings. For those of us who are adopted, there are some added moments. One of those moments occurred in my life this past summer when I entered my fourth decade! In celebration of this event, I decided to take back my Korean name. This was not a decision I came to quickly or easily. I thought a great deal about why I was considering such a change. One of the reasons for its significance for me is that ten or even five years ago I would not have seriously considered this change as an option. What it clearly confirms for me is that adoption is forever ... and it is a process. How each adopted person reacts or responds to life experiences is often related to other issues and influences in their life. When I was adopted from Korea in 1956, I was four years old. My parents and I were pioneers to this process of becoming a family through inter-country adoption. There were no books or newsletters about adopting a child from another country. No parent support groups or other resources. WE were all learning, while at the same time, the process was being observed by a cynical public. In the three and a half decades since, it has become clear that inter-country adoption works, that children of one race and culture can be loved and cherished by parents of another. Additionally, during those same years, we’ve learned some things. While it is the birthright of every child to have a family, every child is also entitled to acknowledge the ethnicity to which he or she is born. When a family adopts a child from another country, they must embrace not only the child, but the child’s ethnicity and culture. I am not encouraging families to go to extremes in immersing themselves and their child in his or her birth culture. After all, an adopted child will need to feel the security of being a part of the adoptive family, and extreme attempts to make them hang on to their old life will not seem balanced. Rather, I believe parents should acknowledge the significance of the child’s birth culture and show genuine respect and honest appreciation for it. All children react individually, and of course, adopted children are no exception. They will demonstrate a wide range of responses to adoption issues. What parents can do is affirm and encourage their child to feel good about themselves and their birth heritage. Things have changed over the years: for example, it is now common to retain part or all of an adopted child’s birth name upon adoption. Such a decision is an important recognition that each child comes to the family with a previous identity, and that identity is part of the child forever, whether it is acknowledged or not. For me, that acknowledgment has come more recently. Becoming “Susan” Soon Keum at forty is, in many ways, more significant to me because I chose it for myself. Lleva, lleva la mora, cincuenta centavos! She was clapping to the rhythm of her chant, calling to the crowd to buy her berries, which were only .50 a pail. I stood for a few minutes watching the little girl, who looked to be about five or six years old. My husband and I had the opportunity to spend some time in Ecuador in 2003, visiting my parents, who had taken on the responsibilities of a guest house for a time. The year and a half leading up to our trip, my life had been filled with a series of life-changing events. I had gotten married, we had bought a house, I had finished post-secondary school, found a job, and now I found myself back in South America, absorbing the sights and smells that were all too familiar to me. Of the activities that filled our busy two weeks, one of them included a trip to the outdoor marketplace of Otavalo. It was there that I saw the little seller of berries; in a marketplace that is said to pre-date even the Inca Empire and is the best known Indian market in South America. Back home, images of that little girl came to mind at different times. At such a young age, already her life story had centuries of history attached to it. Was she aware of her rich heritage? Would she someday speak of her people with pride? Or would unforeseen circumstances change everything that was familiar? I wondered. A story was told to me of another little girl, one who shared a similar Latin-American heritage, but by three years old, this little girl’s life was dramatically changed. A shelter had been made available to parents who needed temporary care for their children while they themselves were being treated in hospital. For some of those children, their parents did not return for them. A little girl and her baby brother, left at the shelter by their parents, were among those who had been abandoned. Workers at the shelter speculated that the mother might have contracted TB and left the children for others to care for, too sick to care for them herself. Perhaps, as a result of her illness, she had died. And perhaps their father could not manage two small children and he saw the chance for them to have a better life. No one really knew. And then … the little girl and her baby brother were adopted – by a couple who gave them a new name, a new home, a new language, a new country, and a new heritage. The little girl’s life was changed forever. When she grew into adulthood, which heritage would she speak of with pride – the one left behind or the one given to her through adoption? Perhaps both. While this little girl’s life had unexpectedly taken a different path, she and the little girl in the Otavalo market shared the thing that ties people together – the love of a family. At a special news meeting in Chestermere today, Wildrose leader Brian Jean, and MLAs Nathan Cooper and Leela Sharon Aheer released a plan to modernize and improve the adoption system in Alberta through a private members bill to be introduced in the spring. It is with excitement and optimism that we share Nathan Cooper’s presentation and announcement, as we look forward to significant positive changes in access to adoption for adoptive parents and birthparents, as well strengthened services and collaboration between adoption agencies and government departments. Thank you so much, Brian. And thank you so much for everyone for coming this morning. It is just so exciting to be here with you, and so exciting for us to be able to try and put some common sense recommendations forward that will modernize adoption our adoption system. Before I really begin, let me just say thank you so much to my very good friend Leela here who has agreed to work with me on this private members bill which will likely take place in the next session of the legislature. I also want to thank so many of the stakeholders who have provided feedback, whether its folks in the department or adoption agencies or adoption advocates like Judith. Today in many ways is the start of a public conversation around this important issue of adoption. November is Adoption Awareness Month, so it’s so great to be able to do this announcement today. I want to be clear that while we are making a number of recommendations today, they in no way do they address all of the issues surrounding adoption in Alberta. As a proud adoptive parent myself, I know that the current process can be cumbersome, and in many ways turn away prospective birthparents or adoptive families from choosing adoption. Our first recommendation is to bring the adoption system into the 21st century by updating the current advertising legislation to reflect the use of modern technologies. Currently in Alberta, Albertans are unable to post adoptive profiles of themselves online. By updating the adoption legislation, parents will be able to receive the same abilities as those in other provinces to be able to post and share their stories online and even raise funds to contribute to the costs of adoption. As an example, I have heard from some stakeholders, who caution adoptive families from advertising on crowd-sourcing websites and even encouraging caution when speaking specifically about their adoption on social media as to not be in contravention to the legislation. Next we want to ensure adoptive families are equipped with the right tools to start off their adoption on the right foot: a mandatory visit by an adoption professional for all private placement adoptions. Currently there is no requirement if you place your child for adoption without using an adoption agency or the department of Child and Family Services, for there to be any involvement by an adoption professional. We feel that even a single visit from an adoption professional would assist in potentially help making these types of adoptions more successful. It would allow families to learn all the resources available to them. And I know through firsthand experience in the adoption of my own two children there can be a lot of questions about supports that are available. Finally, Wildrose is calling on the province to strengthen public health postnatal services and reduce stigmas around individuals asking questions about adoption. Currently, Child and Family Services must open a child intervention file when a birthparent inquires about adoption services. Instead, existing hospital resources should be utilized in partnership with adoption agencies to make this process as easy as possible. It is vitally important that all front line workers, including those in the department, are well trained on adoption services. All involved in adoption need to work together to improve access, communication between agencies and the department. Let me close with this. There are a number of other ways that we can modernize our adoption system here in Alberta. That would include updating the application process and moving towards online education around adoption. We have seen some of these changes made recently in the province of British Columbia that will make significant advances in increasing access to adoption. Adoption should not be seen as and an issue in isolation, but work collaboratively to ensure agencies, the department, prospective adoptive families and birthmothers all have the support they need. These are only a few of the small changes that will make a big difference in our adoption system and in our province. And it is my sincere hope that the NDP accepts these recommendations. Global News created a wonderful series about open adoption and the positive ways in which families come together, highlighting several of our truly amazing Adoption Options' families. Jill Croteau explored the joys and the challenges of adoption in this 3 part series, which aired Monday Nov 14, Tuesday Nov 15, and Wednesday Nov 16 on the 6 o'clock news. If you missed any of the broadcasts, the links below will take you there. "Erica Brunelle is one young woman who never hesitated when she discovered she was pregnant. At 22 years old she decided her unborn child deserved a kind of life she couldn’t provide." "Not all adoptions are created equally, particularly when multiple children are involved. 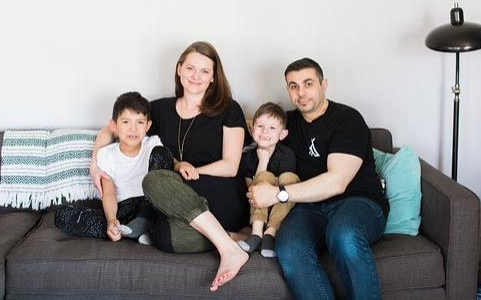 Calgary resident Jill, who had four children—including a set of twins—is at the heart of an open adoption journey." A heart-felt thank you to all our families who so graciously and openly shared their stories.